Universal horror's "second wind," first set in motion by Son of Frankenstein, was just beginning to muster force when the studio decided to release a sequel to James Whale's 1933 hit The Invisible Man. The result, The Invisible Man Returns, although possessed of a certain gusto and some fine acting, often plays like a flatter imitation, substituting Whale's anarchy for a more standard tragic romance. The Invisible Man Returns showcases a very young Vincent Price, before he'd developed his infamously mellifluous menace. Here, he sounds ready to chew some gum, jam his hands in his pockets, and say "Aw shucks." Even at this early point in his career, though, he's still quite vocally expressive -- a fact that serves him since his performance is almost entirely in his voice. 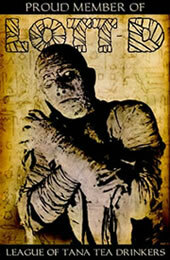 Besides Price, the other major star of the film is special effects wizard John P. Fulton. Fulton improves greatly on his already impressive invisibility effects, allowing us to see Geoffrey in outline when cigar smoke is puffed in his face or when he's out on a rainy day. The old tricks -- walking clothing, floating props, etc. -- are refined and as seamless as one could hope to get, given the period. There are times when Fulton's handiwork is more impressive than the glut of computer effects today, simply because there's a basis of physical reality in his unreal illusions, whereas computers have to round physics to the nearest thousandth. The script, by Lester Cole and Curt Siodmak, hardly asks for the audience's wiles. The real killer is easy to figure out and there's hardly any doubt that those who are going to kick the bucket sorely deserve it. Whereas the 1933 film focused on the freedom given by invisibility, Cole and Siodmak are more interested in the gloomy onset of madness and death. While this approach is certainly more standard to the storytelling of the time, it gives The Invisible Man Returns a nice sense of urgency that Whale's languid picture lacked. Director Joe May manages things well enough, but he never gets a strong handle on the tone. Some sections play like heavy melodrama -- specifically whenever Sutton or Sir Cedric Hardwicke (as Geoffrey's avaricious cousin) are on screen -- and others go for the more light-hearted madcap feel -- like most of the scenes dealing with the actual pursuit of the invisible escapee. The awkward shifts don't do any favors to the film, and undermine the generally solid pacing and cinematography. With a by-the-numbers premise and very little creativity from its director, The Invisible Man Returns works best as an exhibition of the talents of Fulton and Price. 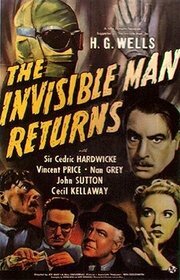 With one making a man disappear and the other giving that same man an indelible presence, they make The Invisible Man Returns the kind of matinee fun for which yesteryear is famous. Isn't that enough, sometimes?